If you enjoy the great outdoors and the fresh scent of pine trees in the morning Coconino National Forest is the place for you to call home—at least for a few days. Get in touch with your outdoorsy side with hiking, camping and/or fishing in Coconino National Forest. If you’re feeling adventurous or rambunctious you can find an ATV and an go off roading path to have some fun. Looking for something a little bit calmer? Having a time crunch? Take a scenic drive through the forest. What can I see and do at Coconino National Forest? The forest is split into four areas each with their own attractions. The areas are Peaks, Mormon Lake, Mogollon Rim and Red Rock districts. 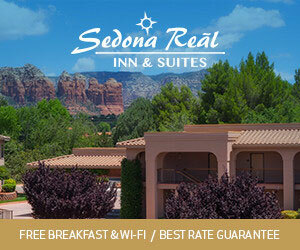 The forest stretches through Flagstaff and far into surrounding areas such as Sedona, Arizona. Fishing: This is dependent on the area of the forest and time of year. The closet place to fish in town is Lake Mary. Contact the forest department for permits and approval before catching dinner when camping. Hiking: There are numerous walking/hiking trails in the area for you to find and discover. Just don’t get lost because, well, it never ends well. The closet hiking trails are those located at Mount Elden and on the San Francisco Peaks. Rim Road/Gen Crook Trail Loop: There’s nothing like being out on the open road. This scenic drive offers wildlife watching, fishing, hiking and camping along the way and will put you on the road for quite some time—it is 154 mile round trip journey from Flagstaff. Plateau Lakes Drive: Interested in a shorter, quicker drive that’s closer to town? Check out this one, it’s an 80 mile round trip that will guide you around the local lakes and Munds Mountain Wilderness. Off-Roading: You can go off-roading while visiting the forest. To do this you must purchase the Off-highway vehicle decal for $25. You are required to stay on the designated off road paths. They are labeled and there are maps available. Contact the Forest service for details. Canyon Vista: Next to Walnut Canyon and Lake Mary, this is a great site if you like fishing and want to explore history (6 miles southeast of Flagstaff). Open May through mid-October; $20; no reservations. Dairy Springs: If you like catching your dinner, camp here next to Mormon Lake. (20 miles South of Flagstaff). Open May through October; $20; no reservations. Pinegrove: At Pinegrove you can partake in water sports like boating. You can also hike and nature water and fish in any of the three nearby lakes. It is 19 miles south of town. Open May through October; $24; 24 reservable spots (reserve online). Stay the night: If you don’t like staying in a tent and sleeping on the ground then you can rent a forest service cabin. For details call the forest service. Where is Coconino National Forest? The forest is large and is located in the upper North eastern part of Arizona. 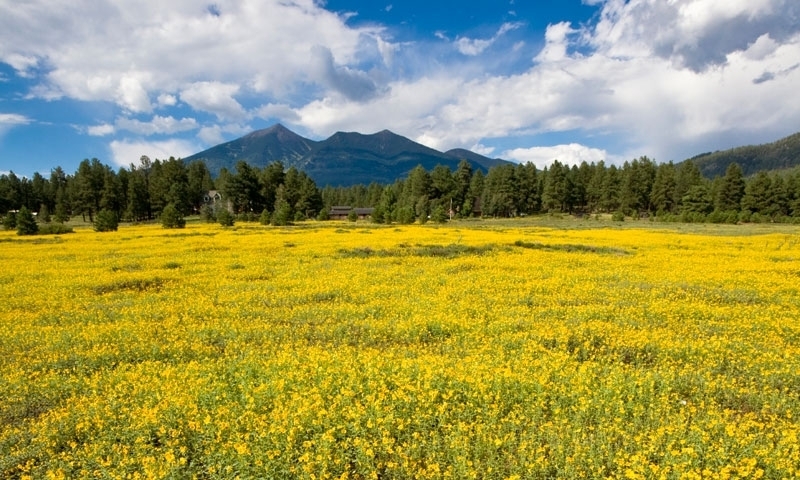 Many trails and attractions in Flagstaff are on forest land. When is Coconino National Forest open? It is open most of the year although weather conditions and fire restrictions may lead to closures of parts of the forest. How much does Coconino National Forest cost? There are fees associated with certain activities. Call the Coconino National Forest office at 928-527-3600.